Today, Queen Letizia of Spain undertook her last official engagement of the year. 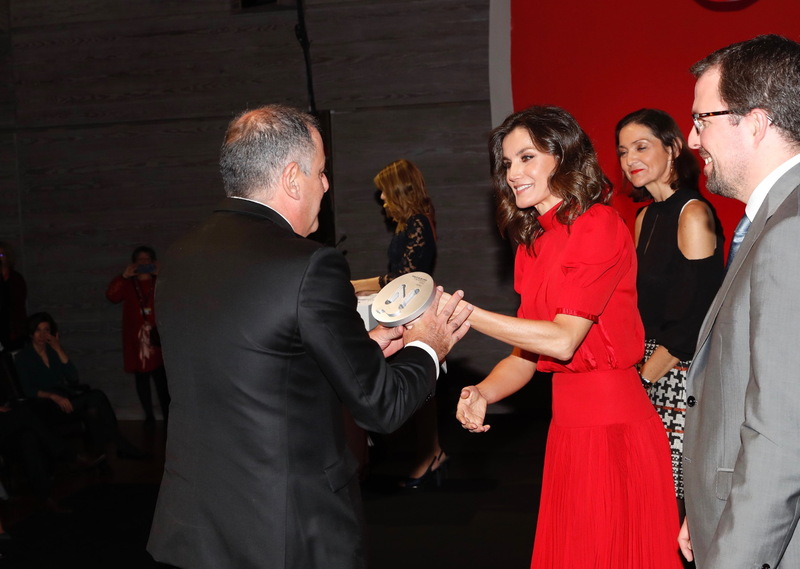 She presided over the V edition of the National Fashion Industry Awards at Costume Museum in Madrid. 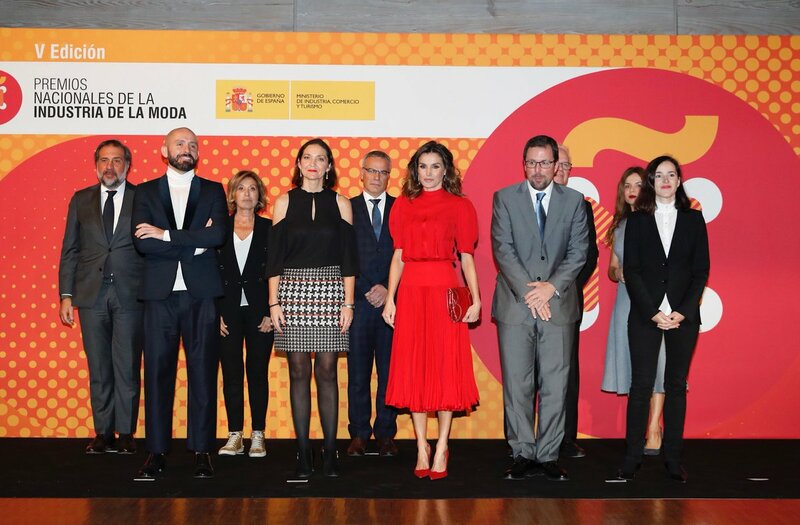 The awards are organized by the Ministry of Industry, Commerce and Tourism, which are granted to recognize the merit and endorse the prestige of the Fashion Industry of Spain, contributing to turn to support the state policy “Marca España”. 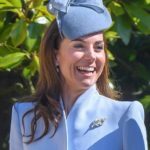 Upon arrival Queen was received by the acting director of the Costume Museum, Paula Ramírez and the Minister of Industry, Commerce and Tourism, Reyes Maroto. The awards were started in 2013 as National Fashion Awards and were renamed to National Fashion Industry Awards this year. 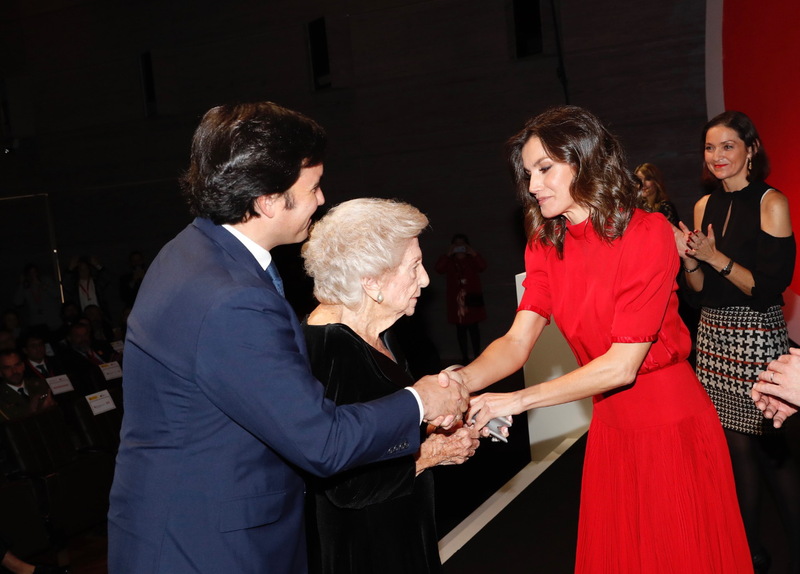 The objective of the awards were to recognizer the people, organizations and companies from all over the Spain for their talents and merits and contribution Spanish Economy and Culture. Another objectives was to show support for the development and strengthening of the Fashion Industry in Spain as part of the strategy and business creation and development initiatives in these moments in which the reactivation of economic activity is necessary . Queen presented the awards to the winners. Before leaving Letizia met with some fashion students. 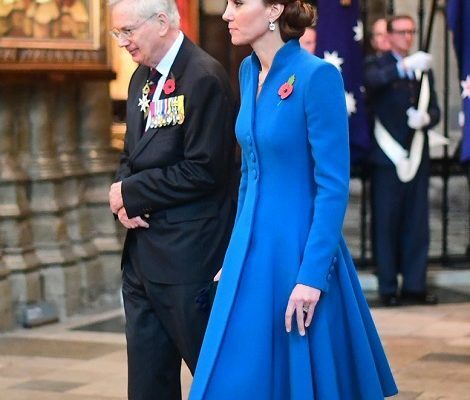 The one interesting fact about Queen Letizia’s today’s look was her outfit. 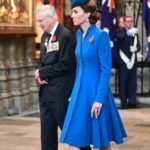 She ended the year in the same way she started – honouring her Mother-in-Law Queen Sofia. 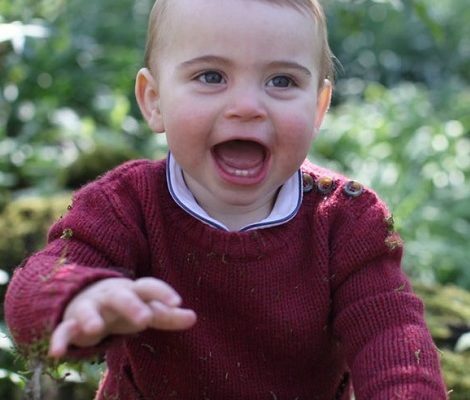 At the beginning of the year, Letizia’s first appearance was the King Juan Carlos’ 80th birthday Celebration. 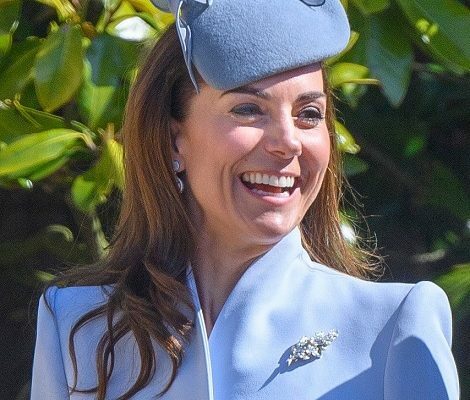 That day she wore a gray stripped blousen-styled high neck dress that belonged to Queen Sofia. Sofia wore this dress in November 1984 during an official engagement. 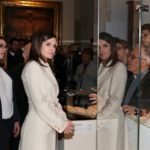 Today at the end of the year on her last engagement of 2018, once again Letizia brought something from her Mother-in-Law’s wardrobe. She wore a red midi dress that is believed to be from 1980. The forty year old dress featured high neckline, puffed shoulders, banded waistline with a pleated skirt. 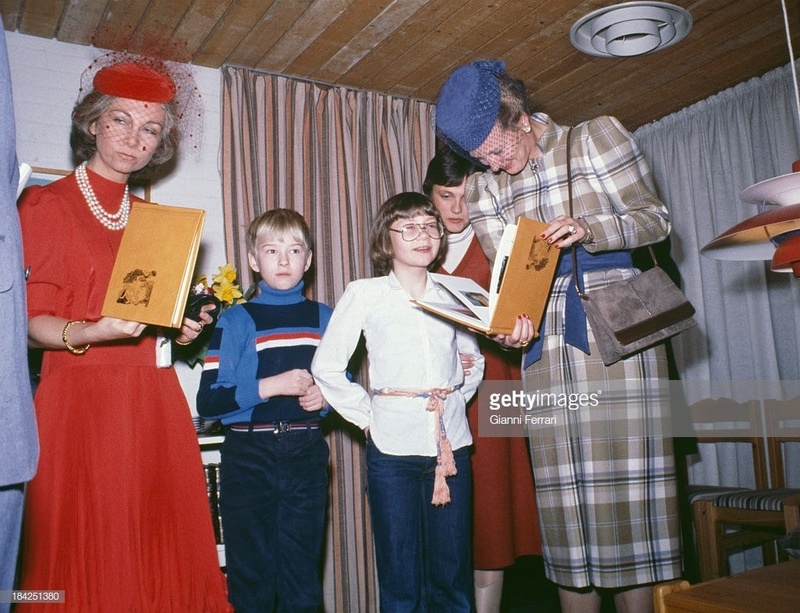 Queen Sofia wearing the dress in 1980 during a visit to Denmark. Letizia paired the dress with red suede Magrit Pumps. 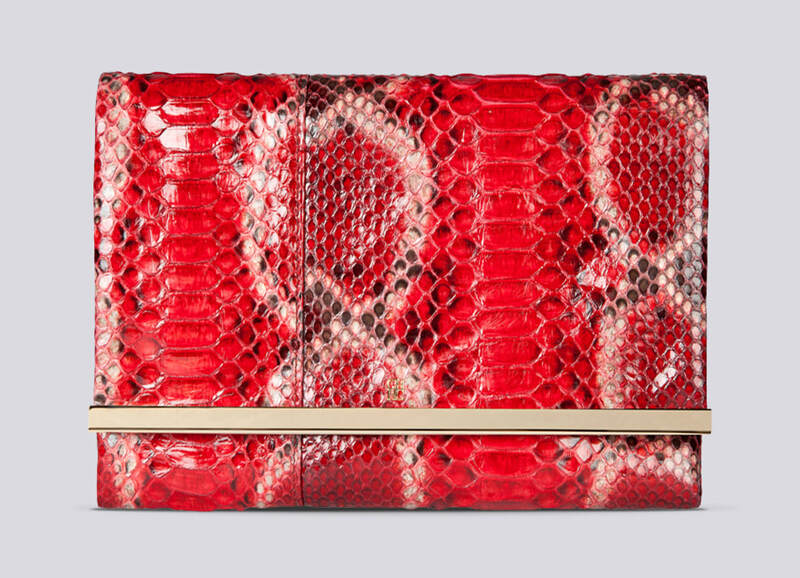 and carried Carolina Herrera Clutch. She finished her look with diamond and ruby earrings. Last week the annual Christmas card of Spanish Family emerged. 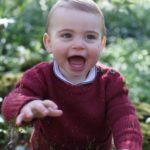 The card has a family picture that was clicked during their visit to Asturias to mark the 13 Centenary of Kingdom of Asturias. 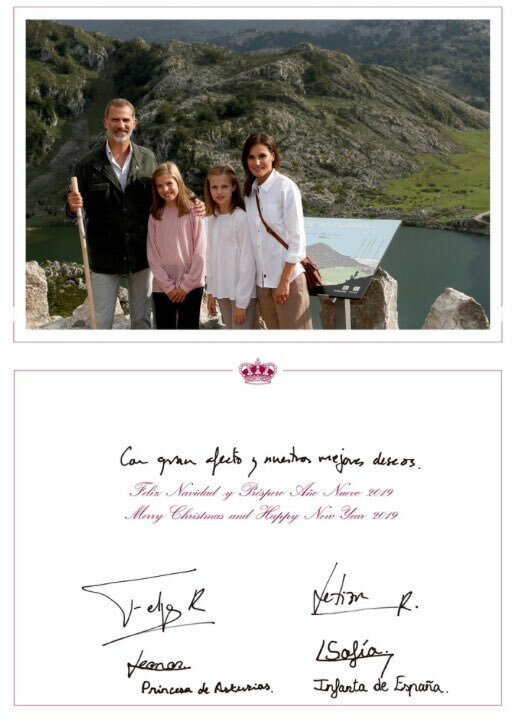 The card also has the signature of King Felipe, Queen Letizia and their both daughters. Next we will officially see Queen Letizia in new Year. I wish Merry Christmas and a very Happy New Year to all my lovely readers.